meals | ___is black the new black? So I had the family over for my mother’s extremely belated birthday dinner. Per her request I made homemade pasta, which is not all that hard. Put the sifted flour and salt in the food processor and gradually add one egg at a time. Add the olive oil and water, and pulse until the mixture forms a dough. Wrap in plastic wrap and put in the fridge for at least an hour. 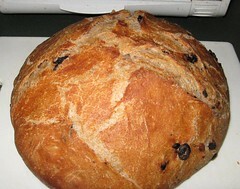 Cut the dough into four quarters which will make it easier to work with. Take one quarter and using flour to make it more pliable run it through the pasta machine until the dough is somewhat translucent and almost like a really soft piece of leather. Then use whatever die on the machine to form the pasta you want (mine only does spaghetti and linguine). Cook in boiling salted water for about 3 minutes. 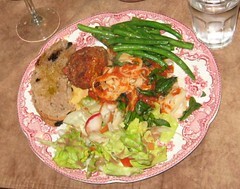 I served this with Giada DeLaurentiis’ Basic Marinara sauce and some sauteed zucchini and garlic, along with a salad. But, reader, the dessert! 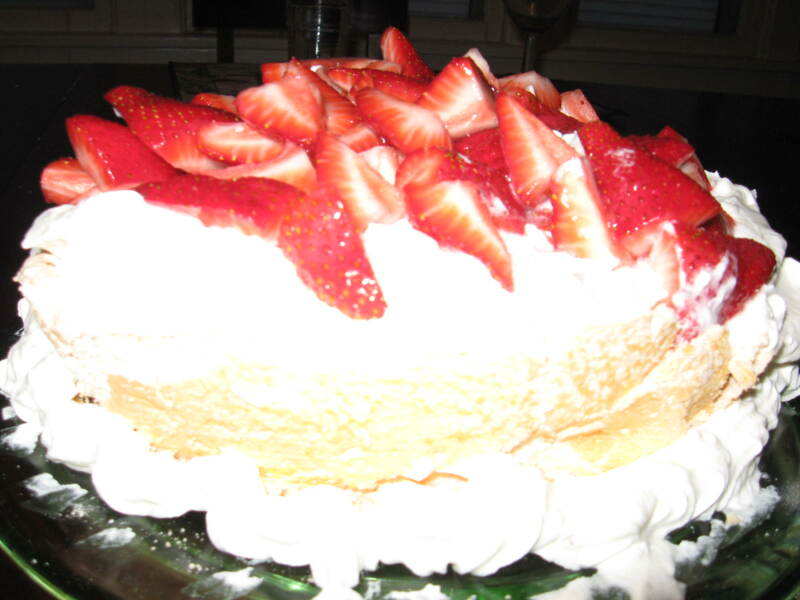 A friend recommended making a pavlova, which involves a meringue shell that is then filled with whipped cream and fresh fruit. 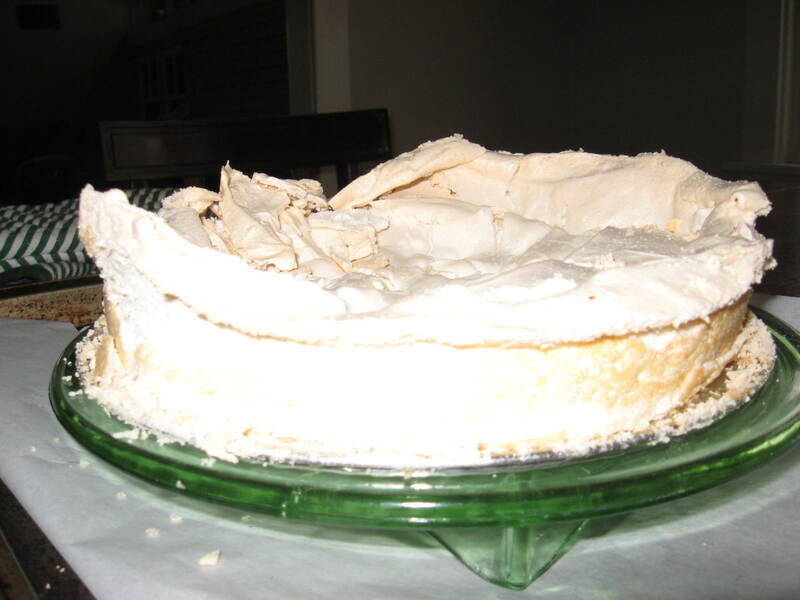 It is named after Anna Pavlova, the ballerina. Apparently it was created and served in her honor in New Zealand. So here’s the recipe I used (I have got to get my hands on the Silver Palate Cookbook from whence this came). 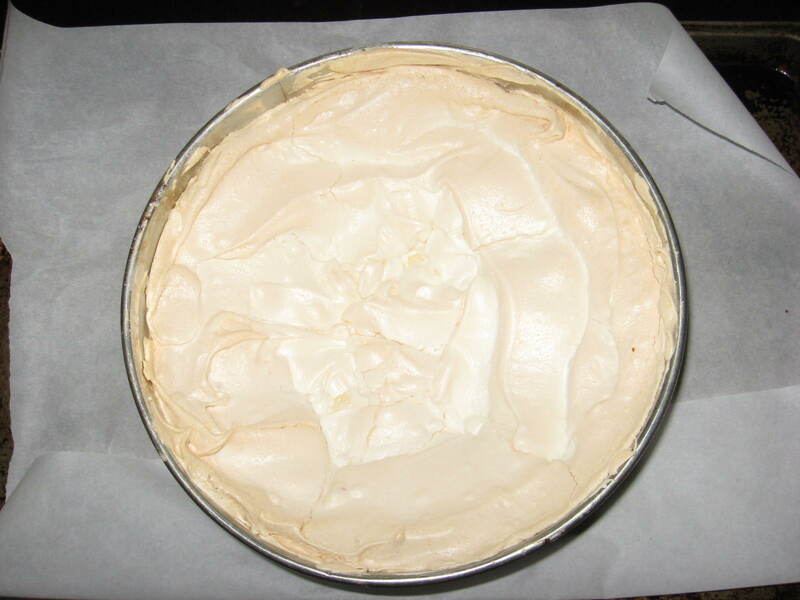 The meringue came together quite well and I had high hopes when it came out of the oven. Getting it out of the springform pan was more of a task. I will be more liberal with the butter on the inside of the pan next time. I’m afraid I’m not much of a decorator when it comes to desserts, but no one seemed to mind. Everyone had seconds and thirds! So this one is a keeper. So I found out I will be hosting Thanksgiving again. Oddly enough, I’m kind of pleased. Last year I was panicked. Now that I’ve cooked a turkey and I know that there isn’t all that much to it, I think I’m going to enjoy stretching my culinary wings (pun intended). Now it’s just a question of the menu. I’d like to do something a bit more challenging with the dressing. To this end I’ve been going through all of my cooking magazines for ideas. I have way too many of them. Two were gift subscriptions. One I got because of air miles on an airline I refuse to fly. And the other two were choices. Food & Wine (air miles) – not renewing and I’ll tell you why. Most of the recipes call for things like essence of violet and squab. The reviews are for restaurants in places like Bali and Gstaad, and their idea of an affordable wine starts at $50 a bottle. Cooks Illustrated – I love this magazine. Great illustrations, very easy to follow recipes, and everything is tested extensively. Penzey’s One – Another one I really love. They generally come from the readers so it’s considerably more folksy and homespun then say Gourmet, but all the recipes have been hits. Gourmet & Bon Appetit – (gift subscriptions) They look like they should feature recipes with ingredients like essence of violet, but man, that isn’t the case. Excellent all around. I can afford to subscribe to 2. So the question is which will make the cut. I went into Wegman’s (awesome grocery chain) to buy some tomatoes and ended up spending $25 on expensive cheeses and fresh bread. I have to tell you it was worth it. Their bakery is pretty decent. I took a baguette, toasted it with a little truffle oil, and added some sliced tomatoes and some really yummy St. Agur blue cheese.